Fungi are a group of microscopic as well as macroscopic, spore bearing, chlorophyll lacking, filamentous and heterotrophic thallophytes which reproduce asexually and sexually. Fungi are classified into slime moulds, oomycetes and true fungi. The Oomycetes (water moulds) are primarily aquatic fungi live as saprophytes or parasites. Although oomycetes morphologically similar to true fungi and exhibit absorptive nutrition and thus long classified with them, following features show that there are profound biological differences between oomycetes and true fungi. 1. 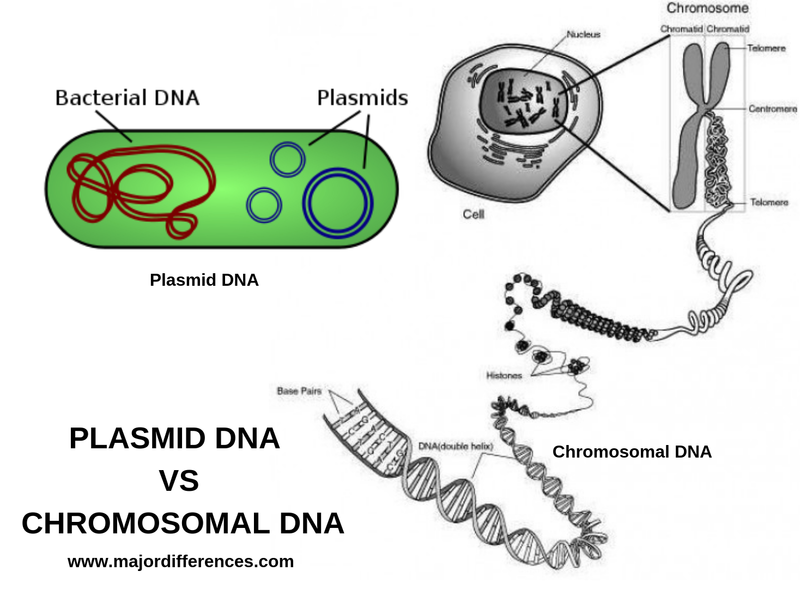 Somatic phases of oomycetes are diploid, whereas it is haploid in true fungi. 3. Many produce egg cells during sexual reproduction. They are also known as egg fungi. 4. Most members produce swimming biflagellate zoospores with an anterior tinsel flagellum and a posterior whiplash flagellum. 5.The cell wall is mainly cellulosic in composition rather than chitionous as is the case in true fungi. 7. The vegetative thallus resembles the algal thallus in general construction. 8.The hyphal walls off oomycetes contain aminoacid hydroxyprotine which is not found other fungi, but is characteristic of the cell walls of green algae. 9. A number of biochemical synthetic pathways in the oomycetes are very different than those present on all other true fungi. Oomycetes like the plants synthesise lysine using diaminopimelic acid pathway rather than through the aminoadipic acid pathway. 10. Oomycetes have tubular mitochondrial cristae. All other fungi have plate like mitochondrial cristae. 11.Sexual reproduction in oomycetes in oogaamous. It takes place by gametagial contact resulting in a characteristic thick walled resting spore, called an oospore. Chromosomal DNA contains instructions as genes for survival, growth and reproduction of an organism. Plasmids are extra chromosomal, self-replicating DNA present in prokaryotes. Plasmid copy number per cell ranges from 15 to 700 copies per cell. *Colicin: Colicins are bactericidal proteins produced by some strains of bacteria, that kills bacteria of the same species. Selection is the oldest breeding method. This is the basis for all crop improvement methods. 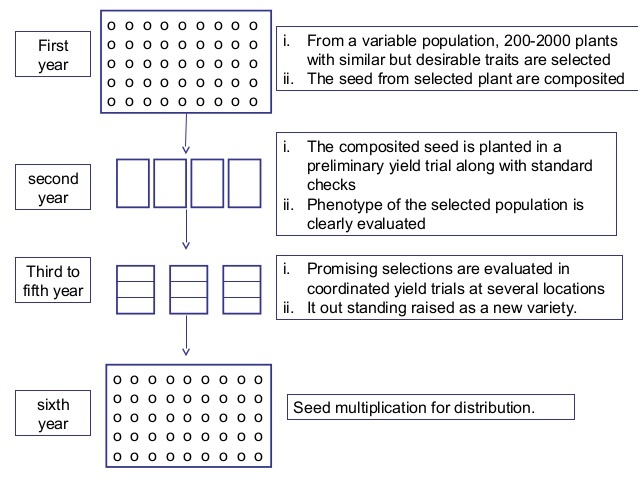 Selection is of two types viz., natural selection and artificial selection. 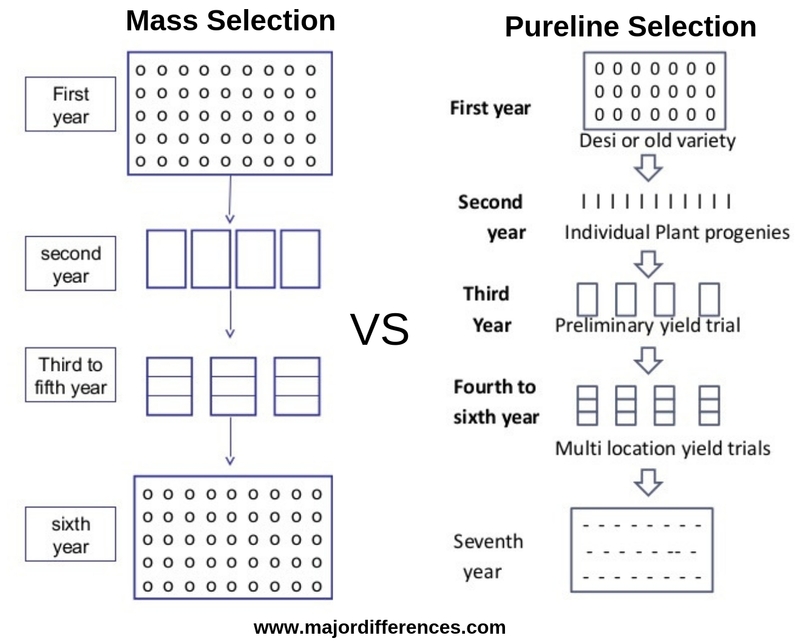 Artificial selection is of three types: mass selection, pureline selection and clonal selection. 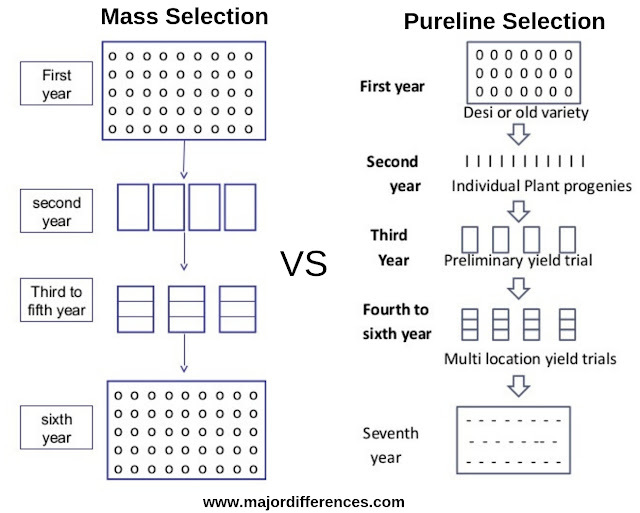 Mass selection: This is the simplest and the oldest method of crop improvement practiced by farmers. It is practiced in crop pollinated crops. Pureline selction: The term pureline was first introduced by W. L. Johannsen of Denmark 1903. A pureline may be defined as the progeny of a single individual obtained by selfing”. 1. Used in both cross and self pollinated species. 2. Genetic variation is present. 4. Produce of variety is less uniform. 2. Genetic variation is absent. DNA (Deoxyribonucleic acid) is the genetic material made up nucleotides whereas DNase (Deoxyribonucleases) is the enzyme that catalyzes the hydrolytic cleavage of phosphodiester linkages in the DNA. It non-specifically cleaves DNA to release 5'-phosphorylated di-, tri-, and oligonucleotide products. 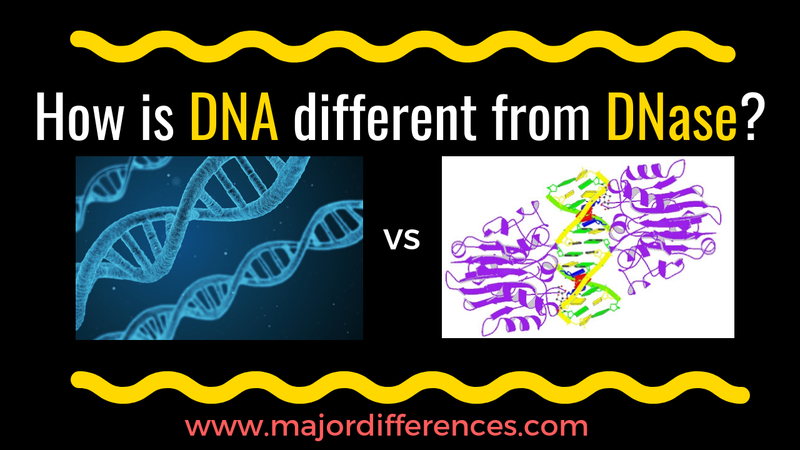 The relationship between DNA and DNase is that the DNA is the substrate for the enzyme DNase. Function: Self replicating genetic material and major constituents of chromosomes. It is used to break the double stranded DNA molecule or single stranded DNA molecule into component nucleotides. 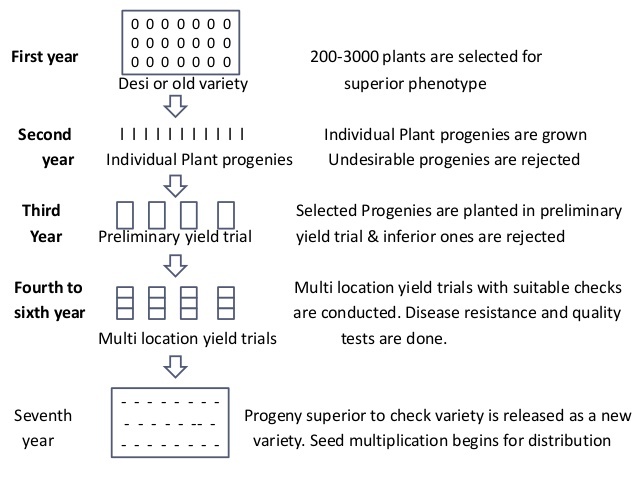 Complementary genes it may be defined as two or more dominant genes present on separate gene loci, which interact to produce a particular phenotypic trait, but neither of them produce a particular trait in the absence of other. Complementary genes were first studied by Bateson and Punnett in the case of flower colour of sweet pea (Lathyrus odoratus). Supplementary genes: They are two independent genes present on different on different gene loci, each producing its own trait. These genes interact when present in dominant state to produce a new trait. 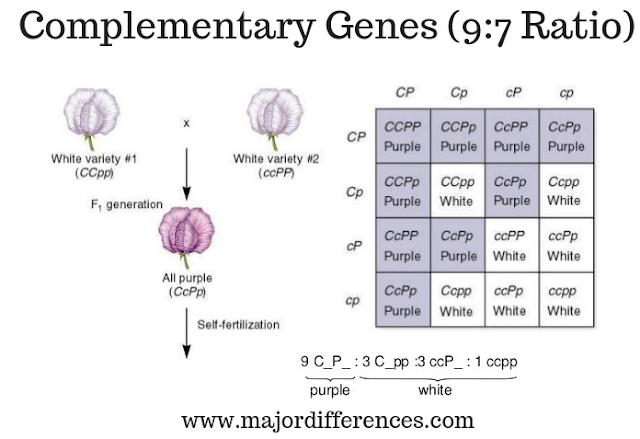 They are a pair of non allelic genes, both of which independently express similar phenotypic trait. They are a pair of nonalleic genes where only one is able to express its effect independently. Both the genes interact to produce a completely new trait. The interaction of the two genes modifies the expression of the independently expressing gene. 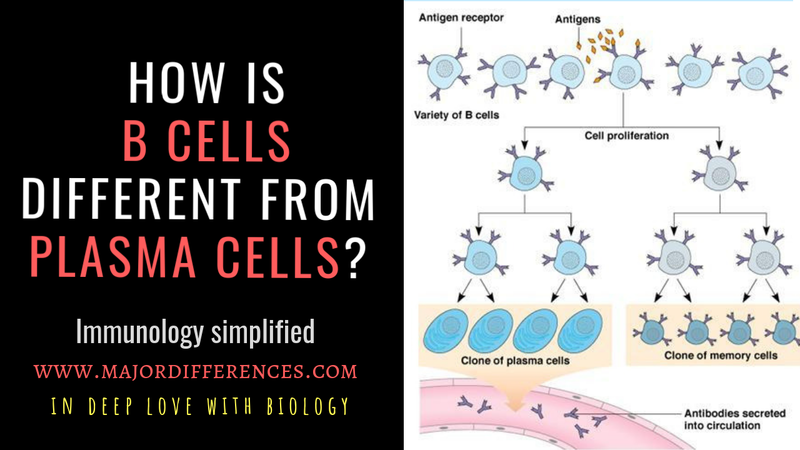 B lymphocytes or B cells and T lymphocytes or T cells are the major players in adaptive immune response. T cells mediate cell mediated immunity whereas B cells are behind antibody mediated or humoral immunity. They possess antigen binding cell surface receptors responsible for specificity, diversity memory and self/non-self recognition by the immune system. *Antibody class switching and somatic hypermutation occurs in mature B cells in response to antigen stimulation and costimulatory signals. *Immunoglobulin class switching, also known as isotype switching, isotypic commutation or class-switch recombination (CSR), is a biological mechanism that changes a B cell's production of immunoglobulin (antibodies) from one type to another, such as from the isotype IgM to the isotype IgG. Wang, K., Wei, G., & Liu, D. (2012). CD19: a biomarker for B cell development, lymphoma diagnosis and therapy. Experimental hematology & oncology, 1(1), 36. Anaya, J. M., Shoenfeld, Y., Rojas-Villarraga, A., Levy, R. A., & Cervera, R. (2013). Autoimmunity: From Bench to Bedside. El Rosario University Press.Fulcher, D. A., & Basten, A. (1997). B cell life span: a review. Immunology and cell biology, 75(5), 446-455.Stavnezer, J., Guikema, J. E., & Schrader, C. E. (2008). Mechanism and regulation of class switch recombination. Annual review of immunology, 26, 261-92. 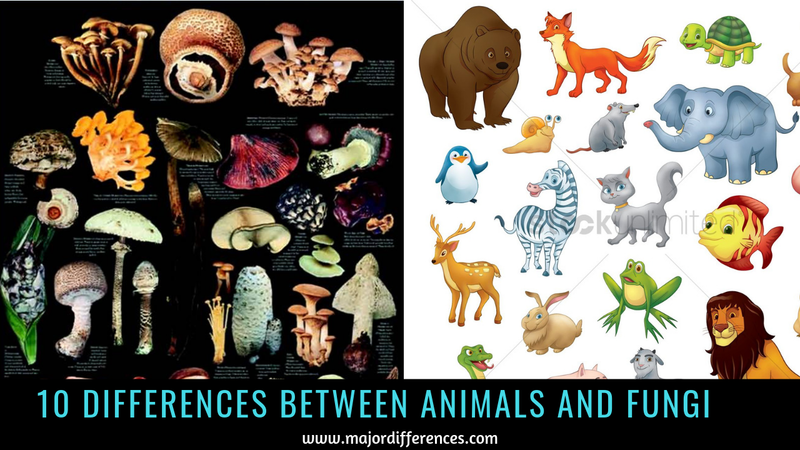 Animals are eukaryotic living organism that feeds on organic matter, typically having specialized sense organs and nervous system and able to respond rapidly to stimuli. Animals are capable of responding quickly to external stimuli as a result of nerve cells, muscle or contractile tissue, or both. Comparatively complex life cycle. In the life cycle of a sexually reproducing fungus, a haploid phase alternates with a diploid phase. Comparatively simple life cycle. Diploid adults undergo meiosis to produce sperm or eggs. Fertilization occurs when a sperm and an egg fuse. The zygote that forms develops into an embryo. The embryo eventually develops into an adult. A good control group is similar to the experimental group in all way except for the difference in the experimental condition (that is the independent variable that the researcher changes). Suppose a researcher has developed a bio-fertilizer and wants to test its effect on plant growth. 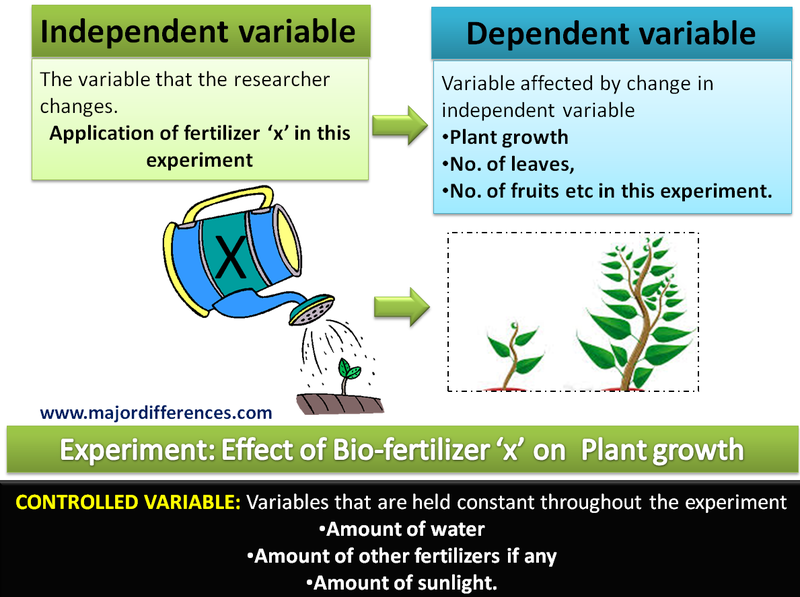 Therefore the experiment is “Effect of Bio-fertilizer ‘x’ in plant growth"
3. Controlled variable: The variable that is kept constant or same throughout the experiment. 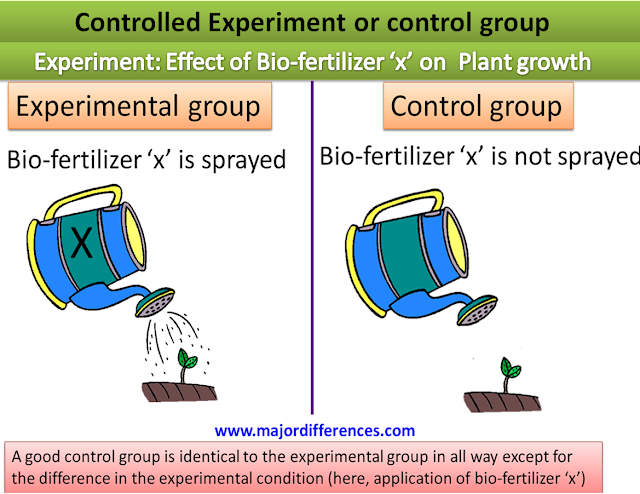 Helps to compare experimental result with non experimental natural result (control group).